This fine silver bracelet is created with 32 individual squares and circles in different textures and slightly patinated to bring out designs. 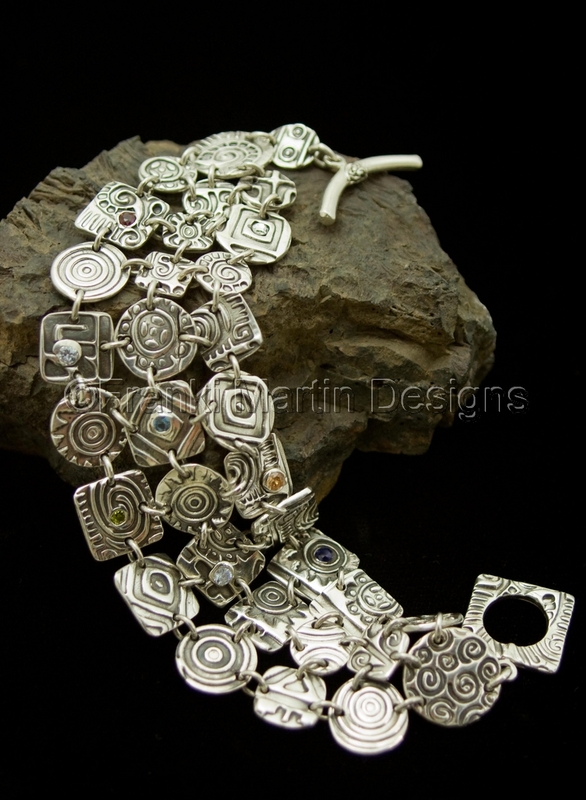 It is assembled in 3 rows with handcrafted fine silver toggle clasp that closes at 7.25". Additional pieces have been crafted and are availble for a custom fit. This bracelet drapes the wrist beautifully and is very light and easy to wear.